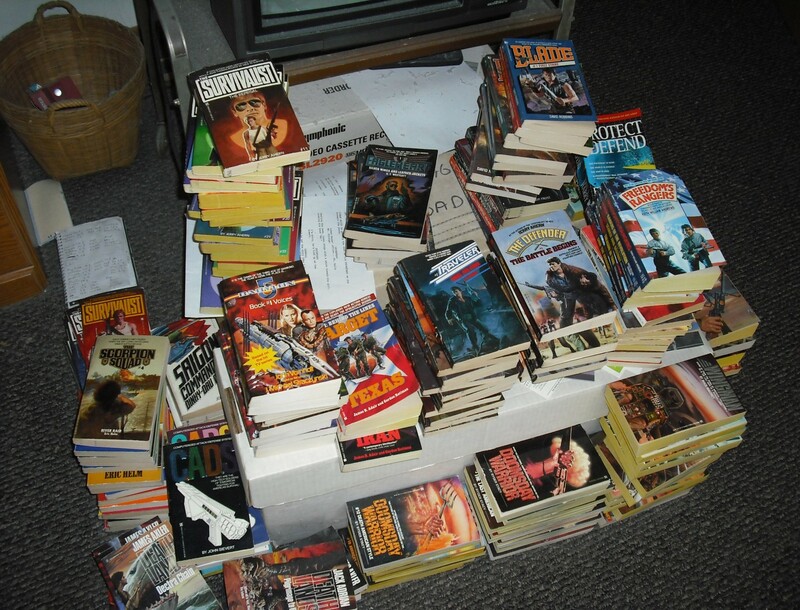 June 2015 – THE BOOKS THAT TIME FORGOT. A man stumbling through the woods is chased by wolves when he is rescued by Yama. The man later reveals that he was searching for the Home and needs help from the warriors. He is from around the city of Green Bay which has been taken over by the Technics. The autocratic rulers of Technic city formerly Chicago have set up a base on the abandoned campus of the university. Now people including the man’s wife and daughter are mysteriously disappearing. Blade is obviously concerned that the Technics are up to some nefarious project and decides to investigate. Taking Yama and Sampson they embark in the SEAL to investigate. On arrival they find hordes of people in a zombie like homicidal rage. The minister of science Quentin Darmobray has been conducting experiments on making people docile slaves. It seems that the people of Chicago do not care for the rigid society of the Technics. Computer simulations show that the Technics will be overthrown in 17.2 years. Hence the mind control experiments. Of course twenty percent become homicidal zombies but Darmobray is confident the bugs will be worked out. He didn’t thought count on Blade who is determined to put an end to his ghastly experiments. Its nice to see the author bring back a story with the Technics. They were a great enemy for Blade and this story shows them as worthy foes. Now my dad’s family is from Green Bay. I still have an aunt up there and occasionally visit. Always fun to have a story set in a place you are familiar with. It also amuses me that the Technics would choose Green Bay. The greatest rivalry in football is the Packers-Bears. It seems appropriate that evil Chicagoans would choose Green Bay as the place to conduct their zombie experiments. I don’t know if the author had that symbolism in mind but I do approve of his setting for the story. A man wakes up in a hospital with no memory of who he is or where he’s from. A kindly doctor and nurse inform him that his name is Berwin and he was involved in a construction accident. Now at Kennedy Memorial Hospital in Boston Berwin comes to terms with his amnesia. He has strange dreams of a walled compound and starts to wonder why he is being isolated from the rest of the world. Berwin is actually Blade who has been kidnapped by an elite Soviet squad and taken to Boston. The Soviets want to find out valuable information on the Home to launch an attack. After they get the information they then want to extract Blade’s sperm to breed genetically perfect super soldiers. While this goes on his fellow warriors find out that Blade was taken to Boston and a rescue mission is mounted. Hickok, Geronimo and an inexperienced warrior named Marcus take off in the SEAL. They get ambushed by a Soviet patrol in Strawberry Point, Iowa. While managing to defeat the patrol Marcus is killed and the other two are too injured to continue on. Of course Blade doesn’t need any rescuing. 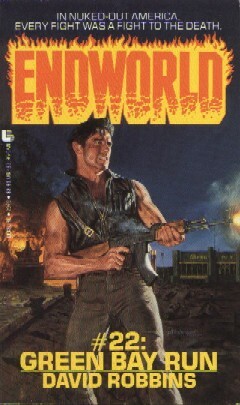 Gaining back his memory he leaves a one man path of death and destruction throughout the city. So the Soviets are back at it. We get another new location to visit. I find it interesting to see how life is like in the Soviet occupied zone. Marcus was an interesting character and I was sorry to see him go. Definitely another fun entry in the Endworld saga. 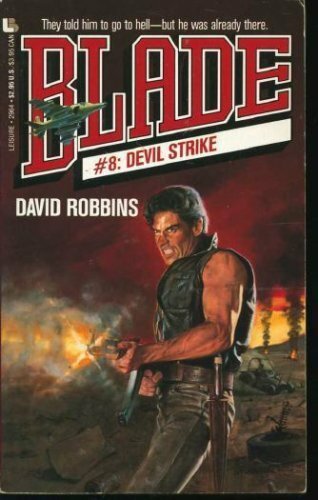 An Interview with David Robbins. 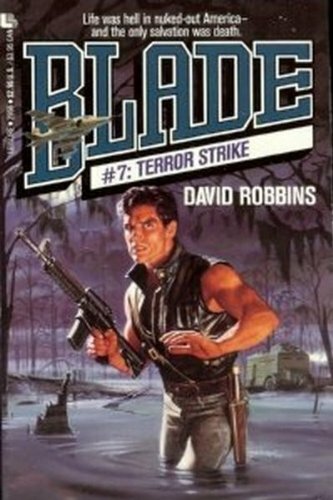 I found an interesting interview with author David Robbins. 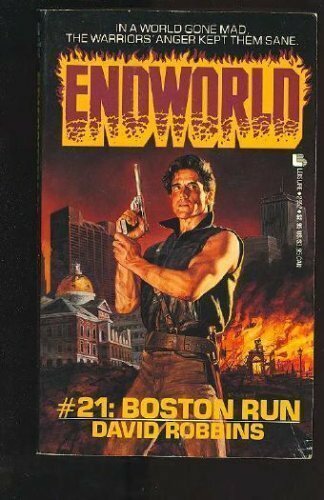 Since I am reviewing his Endworld series I though it would be interesting to share. Two border posts in northern Texas are attacked by mysterious people that are naked and have green spots on their skin. The green spots hint at a possible deadly plague. A plague that could eventually spread to the Civilized Zone and to the other Federation factions. It is decided that a small force should enter Dallas and capture an infected person for further study. Naturally the person to lead this is Blade. Since the Force has been disbanded Blade takes along his buddies Hickok and Geronimo. 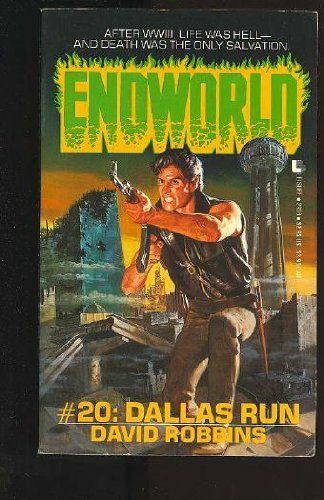 Together with a small band of soldiers they enter the abandoned ruins of Dallas. First they must survive attacks by giant lizards, giant cockroaches and giant spiders. Texas does everything big and mutants are no exception. They find out that the naked people are part of a cult known as the Chosen. Their deranged leader the Lawgiver has plans to spread his faith. Him and his Chosen have been driven insane by drinking chemically contaminated water they call the Elixir of Life that gives them the green spots. Now he hopes to convert the entire world starting with the Civilized Zone. Tankers are ready to sneak across the border and contaminate reservoirs. Only Blade, his buddies and an alliance with the surviving street gangs can stop their mad plan. Naked cultists. Now that’s something I didn’t see coming. 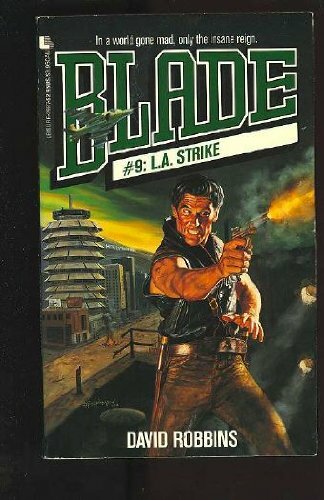 Its great to have Blade back traveling to new locations and fighting the narcissistic crazies that want to conquer the world. Great to have Blade back into his crazy adventures.